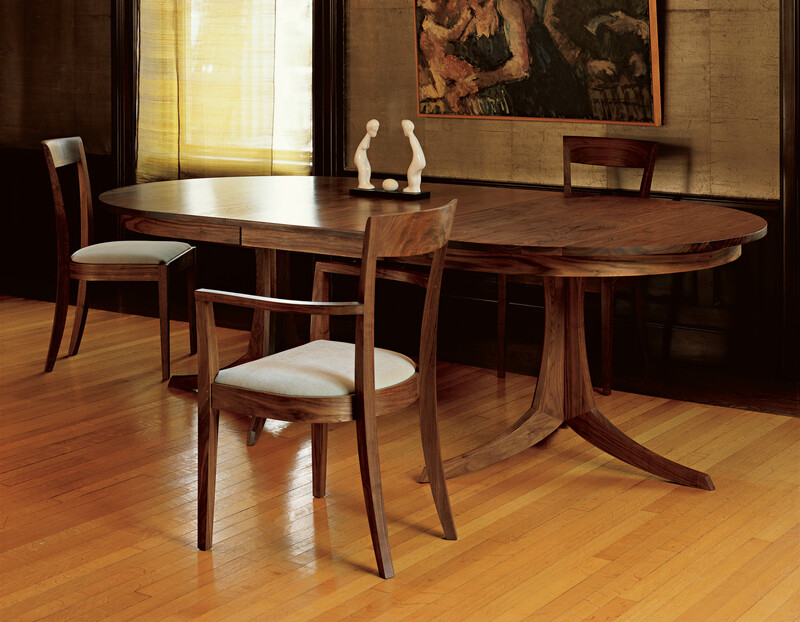 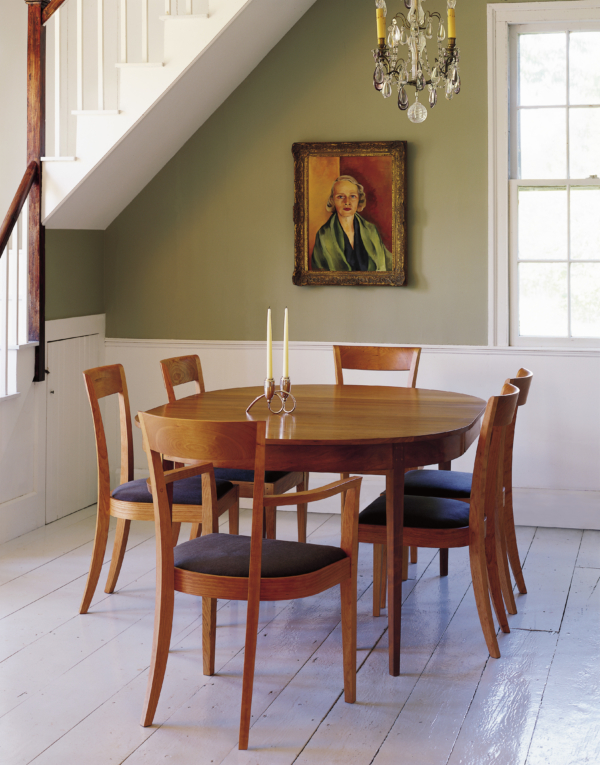 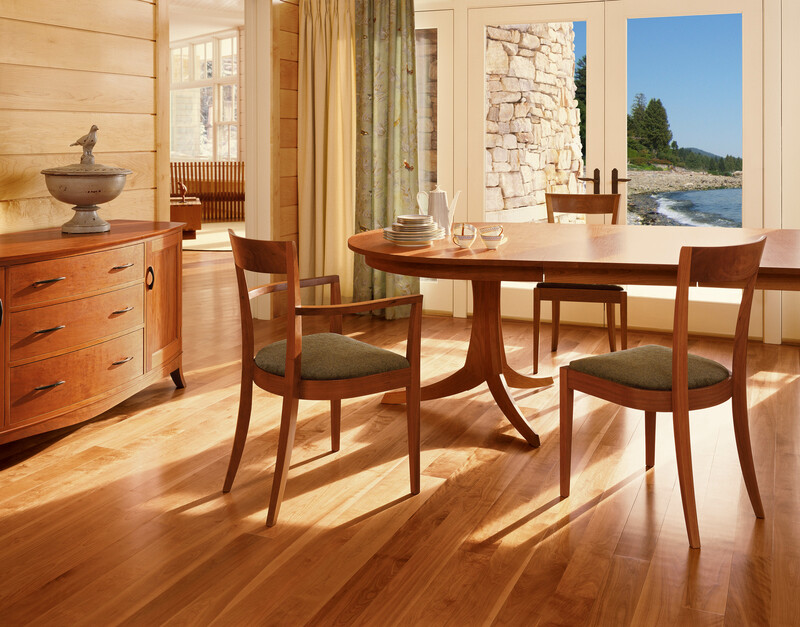 Designed by Tom Moser in his home workshop in Harpswell, Maine, our Harpswell Dining Chairs are beautiful in the truest sense, adding elegance to any room. 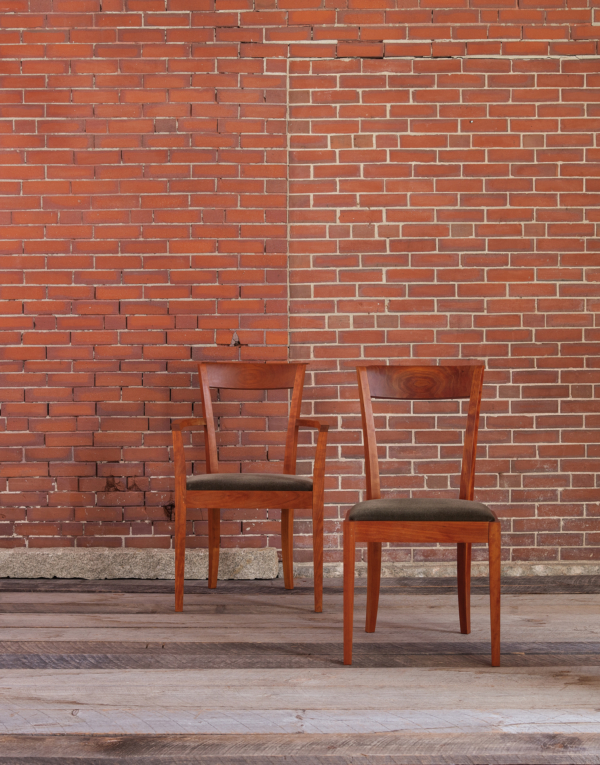 Available with or without arms in two back configurations, these chairs incorporate upholstered cushions to provide both contrast and comfort – and to complement any interior décor. 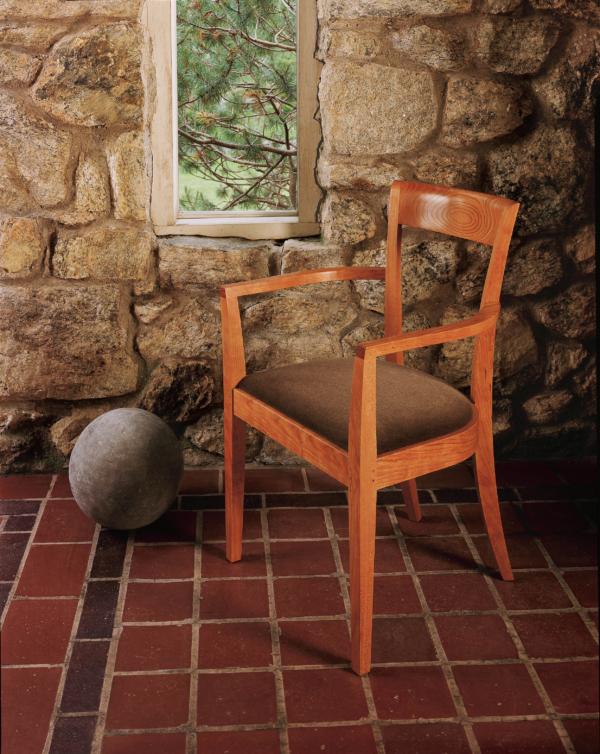 In its simple, utilitarian design, the Harpswell Arm Chair demonstrates that simplicity and comfort are natural companions. 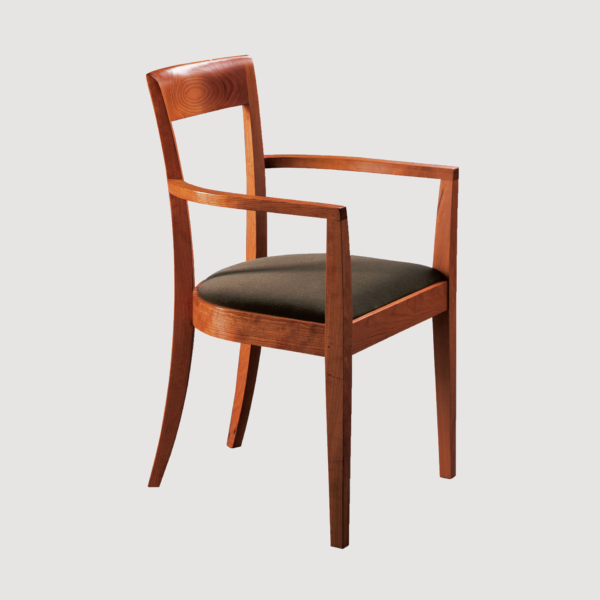 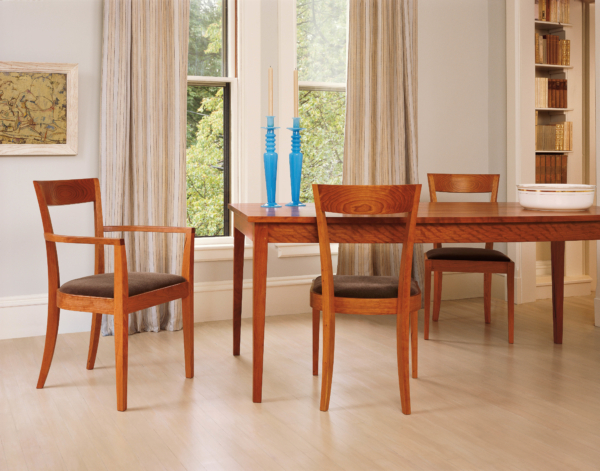 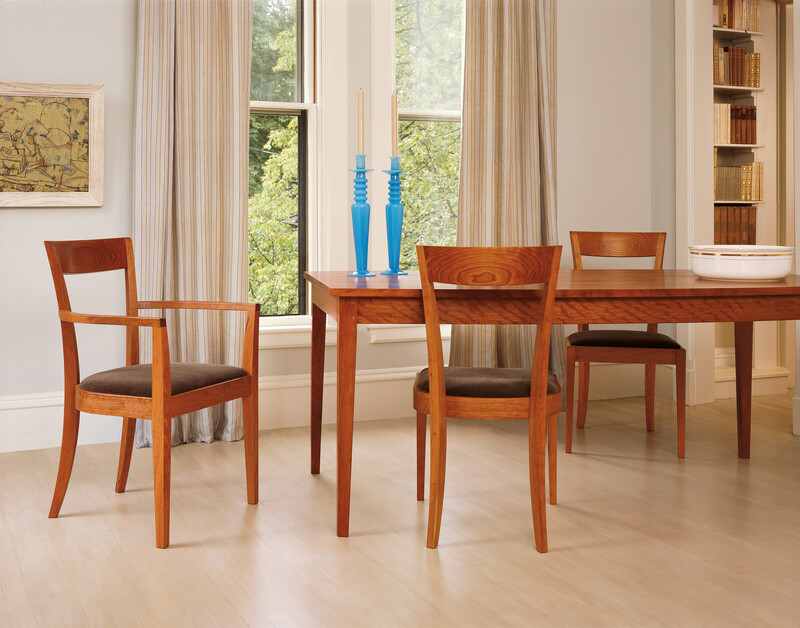 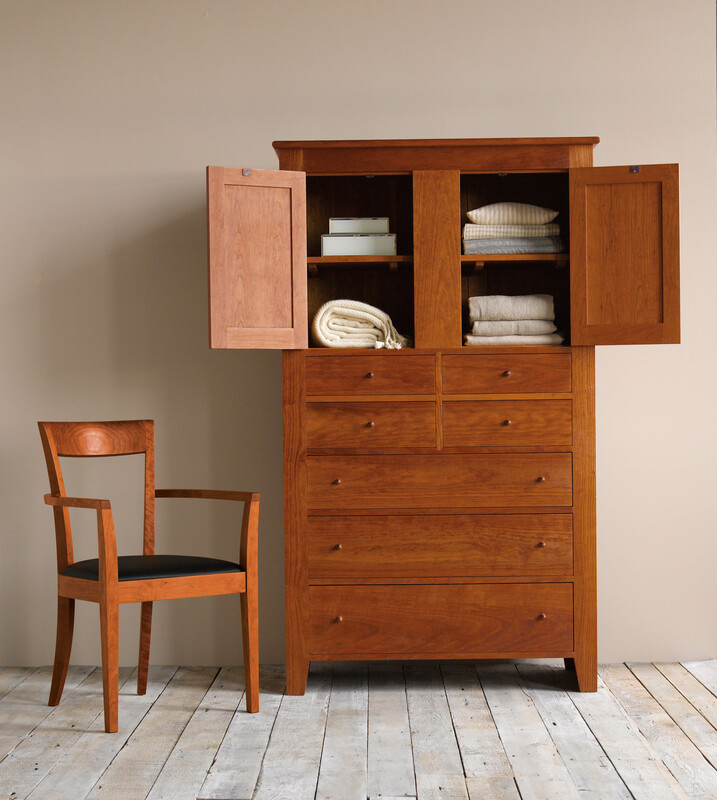 The Harpswell Arm Chair is part of the Harpswell Collection. 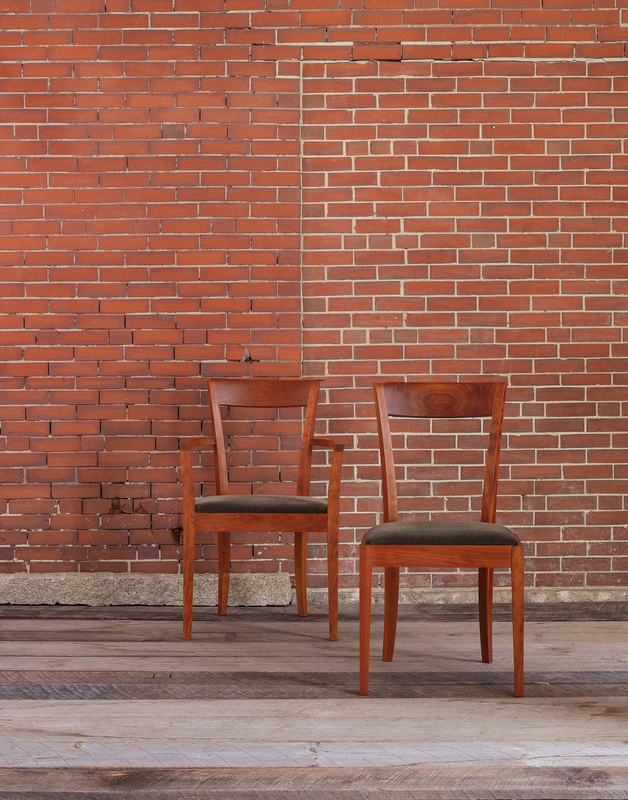 The full collection includes the Harpswell Side Chair with Back, Harpswell Arm Chair with Back, Harpswell Side Chair and the Harpswell Stool.